Review of “A Thousand Days: John F. Kennedy in the White House” by Arthur Schlesinger, Jr.
Arthur Schlesinger Jr.’s “A Thousand Days: John F. Kennedy in the White House” was published in 1965 and received a Pulitzer Prize the following year. Schlesinger was a prominent historian and social critic who served as Special Assistant to President Kennedy. He was also a prolific author whose works include a Pulitzer Prize-winning book on Andrew Jackson and a series on Franklin D. Roosevelt. Schlesinger died in 2007 at the age of 89. 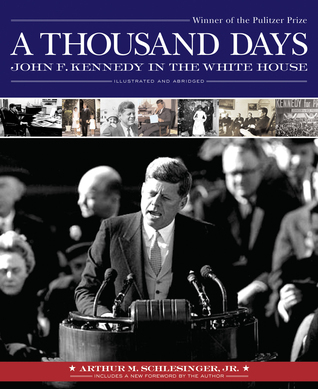 Written by an insider with a unique window into events, “A Thousand Days” is widely considered an invaluable, if selective, review of the three-year Kennedy presidency. 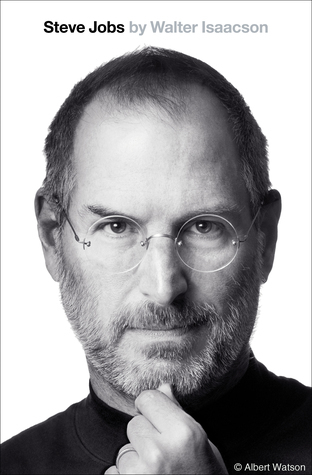 Weighing in at a hefty 1,031 pages, this tome is part autobiography, part biography, and part interpretive history. Schlesinger begins by reviewing JFK’s 1960 nomination for the presidency before proceeding carefully through Kennedy’s presidency up to his death. There are few interruptions along the way; only a brief examination of his early life, a review of his near-nomination as Adlai Stevenson’s 1956 running mate and some thematic diversions toward the end of the book interrupt what is otherwise a generally chronological flow. Despite its intimidating length there is much to recommend in this classic. Schlesinger’s review of the 1960 Democratic Convention in Los Angeles was extraordinarily fascinating as was his account of discussions between Kennedy and Soviet Premier Nikita Khrushchev at the Vienna summit in 1961. The author provides an engaging (if too brief) discussion of Secretary McNamara’s efforts to reorganize and streamline the Department of Defense and a particularly interesting examination of the decline of the Department of State following World War II. And, in general, Schlesinger is able to provide interesting (and often unique) insight into nearly everything he witnessed first-hand. Unfortunately, despite Schlesinger’s skill as a historian and writer, this book will not provide a consistently engaging or carefree journey for many readers. “A Thousand Days” is frequently dry and dense and is more geared toward a political philosopher or history graduate student than a fan of colorful presidential biographies. By design the reader is exposed to very little of Kennedy’s pre-presidency and even less of his family or personal life. The best material in this book derives from Schlesinger’s personal observations – but this only offers a partial view of Kennedy and his administration. Schlesinger “fills in the gaps” by reporting history he did not directly observe; this is when the book morphs from memoir to biography to history text. But while some topics are discussed in heroic detail, others receive scant attention. And the extraordinary level of detail Schlesinger sometimes provides usually fails to translate into a lucid understanding of events. The Bay of Pigs fiasco, for example, absorbs about seventy pages. But with this level of detail the episode is almost unrecognizable – the reader is flown so close to the ground that there is no feel for the bigger picture. And yet there is hardly any mention of Kennedy’s effort to land Americans on the moon and virtually no discussion of farm policy or other domestic challenges. Finally, Schlesinger is clearly an unabashed fan of his subject; he shows a nearly unbridled enthusiasm for Kennedy. The reader almost always sees JFK at his very best: his most charming, his most eloquent, his most perceptive and astute. Never do we observe (directly or indirectly) Kennedy’s notorious indiscretions and flaws. Although Schlesinger’s is a valuable public perspective, it is decidedly one-sided and exceedingly generous. Overall, Arthur Schlesinger’s “A Thousand Days” is unique, insightful and revealing… but it is also weighty, uneven, occasionally tedious and often obsequious. For readers with patience and persistence it provides an exceptional window into the Kennedy presidency from the perspective of a perceptive and articulate insider. But as an efficient and balanced account of Kennedy’s presidency it proves highly imperfect. All you mention is on point. However, published a mere 18 months after Dallas, it is as close to a Kennedy memoir we will ever get. In addition, the candor with which S writes is astounding. For example, read the detailed sections on Vietnam and there one finds all the leasons laid out. Nevertheless, we’ve been told none of these this was quite clear to the participants until much later. Best & brightest…? I also went back to the 1965 NYT & AHR for reviews and alas Vietnam is not even mentioned!